One Direction have gone straight to Number One in the UK Single’s Chart with their hit single One Way or Another. One Direction have gone straight to Number One in the UK Single’s Chart today 24th February 2013. 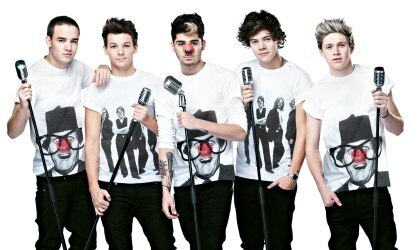 One Direction One Way Or Another (Teenage Kicks) has landed the No 1 slot on the Official UK Singles Chart this week. The Comic Relief song – which is the fastest selling single of 2013 so far – has impressively toppled Avicii Vs Nicky Romero I Could Be The One from the top slot, which has slid all the way down to No 5. One Way Or Another is a cover of the Blondie track of the same name, incorporating John Peel favourite Teenage Kicks. A Number 1 this weekend would give the 1D lads their third Official Number 1 and sixth Top 10 single in less than 18 months. Official Chart fact: according to Official Charts Company sales data, UK sales of One Way Or Another so far this week shows that by midnight last night (Tuesday) One Direction have already surpassed the full opening week sales of Sugababes V Girls Aloud’s Walk This Way, the Comic Relief single of 2007. In a quiet week for new releases, One Direction are the only new entry debut inside the Official Top 40.